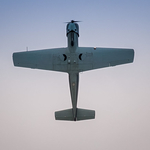 kanga wrote: I think the slogan of Aerotiques - MP3's new sideline - must be "please don't forget to lower your gear; but if you do, don't block our runway, and please let us have your propeller blades"
Funny you should say that. He's had most of my engine and the extremely bent prop. I'm still holding out for a TB20 cake stand . Don't worry plus7g , it was only tongue in cheek . True , you will never see HF aerials on B747 wingtips again . But removing winglets isn't the enormous task that it would at first appear . You are of course correct in that there is indeed a performance penalty involved. Or sometimes not. On the standard -400, there is a penalty. On the 747-400SR (Japanese domestic services), they came out of the factory without them. Iceman wrote: Do BA seriously believe that anyone gets on a commercial aircraft because of the way that it is painted ? I once went on the Ryanair 737-200 painted in Jaguar colours. PaulSS wrote: Can it have both removed? Paul , you are not a "saddo spotter" at all mate . In fact , I stand corrected coz you're spot-on . Just checked our co. MEL/CDL , Ch. 57-28-01 and it is indeed only one winglet it can fly without . Why do I remember absolute trivia like that, when I haven't flown the thing in over 10 years and yet I can't recall what I had for breakfast.....or anything that my wife tells me to do? I know my post will get deleted , but not quite the same is it .... we are talking a company painting their aircraft in a retro ( for that same company) scheme. Why would your post get deleted? The views I express here are entirely my own and are not intended to represent my employer. I'm sure there must be at least a few more nominee's . Keep it up and perhaps we can expect some nice pop-up ads from bivouac and anorak manufacturers to appear ..
Was BEA , not BOAC ; but think the BOAC livery [ not colour scheme ] was the best ...... Mind you I'm hoping they'll bring back the 'gurls summer uniform ... Pale Blue , or Pink mini dress with a 'looong zip down the front . It eventually migrated to Short Haul for a short time . Milan crew change . Italian driver .. Us '' There it is '' . Ital. '' Ee no BA '' ! Warsaw , sitting in the pier . '' Damn thing's not in yet '' looking at 'wot we thought was an Indian job . Bit later ... '' just maybe that is ours '' .......... Explain that reason for late departure ! Leaving Denver 2 nights ago saw an American A320 in full last TWA livery . V. Smart it looked . Paul SS , I must be just an old spotter , not yet sad . 'Cos couldn't remember the need for at least one winglet . It was lucky that on a walk around , that I noticed one winglet was missing . Can we go like this ? MEL says ok ; but ask for an engineer .... Reluctantly one came out to explain that speedtaping over the gaps and open parts was Not needed. '' Mmm '' we thought , but he was correct , nothing further broke off.